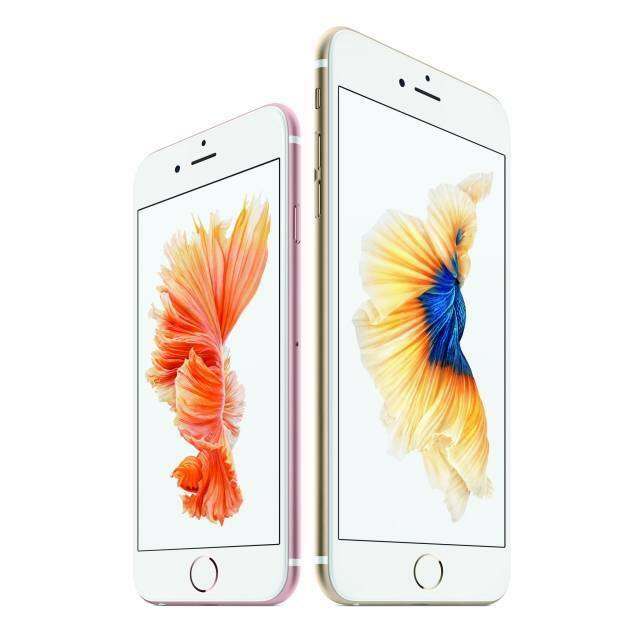 Apple today announced iPhone 6s and iPhone 6s Plus, the most advanced iPhones ever, will be available at 8:00 a.m. local time on Friday, September 25 at Apple’s retail stores. Stores will have the new iPhones available for walk-in customers who are encouraged to arrive early. Both models will also be available on Friday from AT&T, Sprint, T-Mobile, Verizon Wireless, additional carriers and select Apple Authorized Resellers. Apple also announced the fastest iOS adoption ever, with more than 50 percent of devices already using iOS 9.
iPhone 6s and iPhone 6s Plus bring a powerful new dimension to iPhone’s revolutionary Multi-Touch™ interface with 3D Touch, which senses how deeply you press the display, letting you do essential things more quickly and simply. The new iPhones introduce Live Photos, which bring still images to life, transforming instants frozen in time into unforgettable living memories. Live Photos, 3D Touch, 12-megapixel iSight camera, 5-megapixel FaceTime HD camera with Retina® Flash and more are powered by the Apple-designed A9 chip, the most advanced chip ever in a smartphone, delivering faster performance and great battery life. iPhone 6s and iPhone 6s Plus are designed with the strongest glass on any smartphone and 7000 series aluminum, the same alloy used in the aerospace industry, in gorgeous metallic finishes that now include rose gold. iOS 9, the world’s most advanced mobile operating system, brings more intelligence to iPhone with proactive assistance, powerful search and improved Siri features, all while protecting users’ privacy. Built-in apps become more powerful with a redesigned Notes app, detailed transit information in Maps, and an all-new News app for the best news reading experience on any mobile device. The foundation of iOS is even stronger with software updates that require less space to install and advanced security features to further protect your devices. iPhone 6s and iPhone 6s Plus will be available in gold, silver, space gray and the new rose gold metallic finishes for $0 down with 24 monthly payments starting at $27 (US) and $31 (US), respectively, from Apple’s retail stores in the US, Apple.com, select carriers and Apple Authorized Resellers. Exclusively at Apple’s retail stores in the US, customers can choose their carrier and get an unlocked iPhone 6s or iPhone 6s Plus with the opportunity to get a new iPhone annually and AppleCare+ on the new iPhone Upgrade Program. Monthly payments start at $32 (US) and $37 (US), respectively. For more information on the iPhone Upgrade Program visit www.apple.com/shop/iphone/iphone-upgrade-program or a US Apple Retail Store. Both models will be available in Australia, Canada, China, France, Germany, Hong Kong, Japan, New Zealand, Puerto Rico, Singapore, the UK and the US. Beginning September 26, customers will be able to visit Apple.com to reserve their iPhone for pick-up at their local Apple Store, based on availability. Most Apple stores will also have iPhone available for walk-in customers each day. Apple-designed accessories including leather and silicone cases in a range of colors and Lightning Docks in color-matched metallic finishes will also be available. Every customer who buys an iPhone 6s or iPhone 6s Plus at an Apple Retail Store will be offered free Personal Setup to help them customize their iPhone by setting up email, showing them new apps from the App Store℠ and more, so they’ll be up and running with their new iPhone before they leave the store. Anyone who wants to learn more about the new iPhones or iOS 9 can register for the free workshops offered at every Apple store.